The beta review period for Unicode 11.0 and related technical standards will close on April 23, 2018. This is the last opportunity for technical comments before version 11.0 is released in Q2 2018. Implementers and interested parties are encouraged to download data files, review proposed updates, and submit comments. Unicode 11.0 adds seven new scripts, including Hanifi Rohingya, 66 additional emoji characters, including four new components for hair color (for a total of 157 emoj sequences). The set of Georgian Mtavruli capital letters has been added to support modern casing practices. In addition to the Unicode core specification, five Unicode Standard Annexes and two Unicode Technical Standards have significant specification and/or data file updates that are correlated with the new additions for Unicode 11.0.0. Review of those changes is strongly encouraged during the beta review period. Five new fields and improved regular expressions. 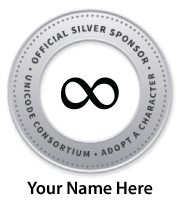 Please review the documentation, adjust your code, test the data files, and report errors and other issues to the Unicode Consortium by April 23, 2018. Feedback instructions are in each public review page. For more information, see the open public review issues.